G-man helped bake buns the other night. Together we rolled out rounds and hoagies and, at his insistence, a heart-shaped loaf for breakfast toast. Alphabet magnets on the fridge door kept him busy while he waited for the first batch to bake. He disappeared from the kitchen with a freshly buttered bun. 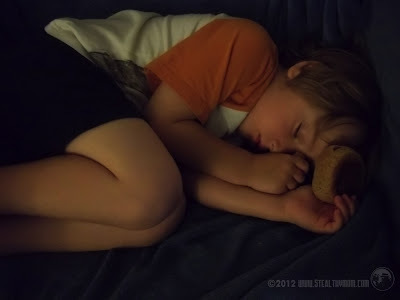 Sometimes a quiet four-year-old is cause to worry, so when he did not return to the kitchen I joined him in the living room.